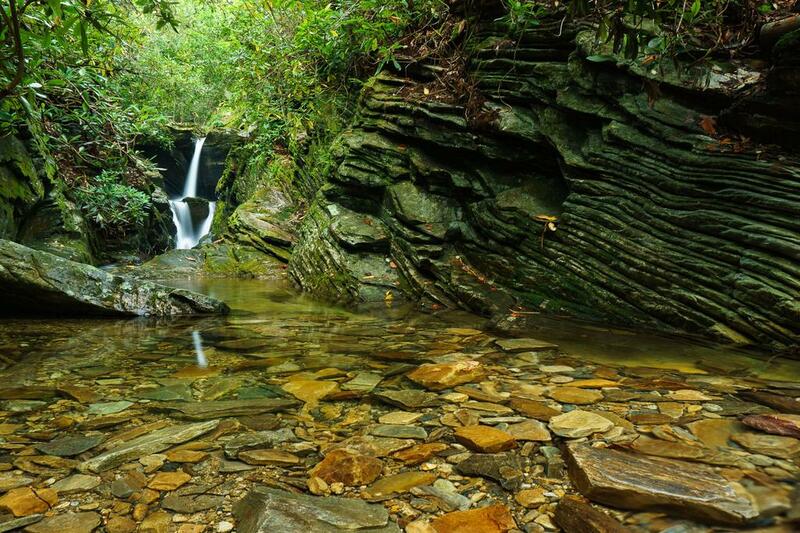 A short but rugged trail takes you to the base of this impressive falls; the roughness is mitigated somewhat since it's short. Stare up at the gorge walls and marvel at the water churning through a narrow chasm before plunging into the deep pool at the bottom. 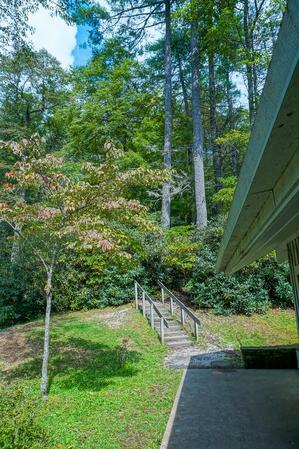 A side spur to a classic overlook is also included. 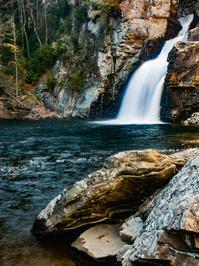 From Asheville: There are several acceptable routes to get to Linville Falls from Asheville. 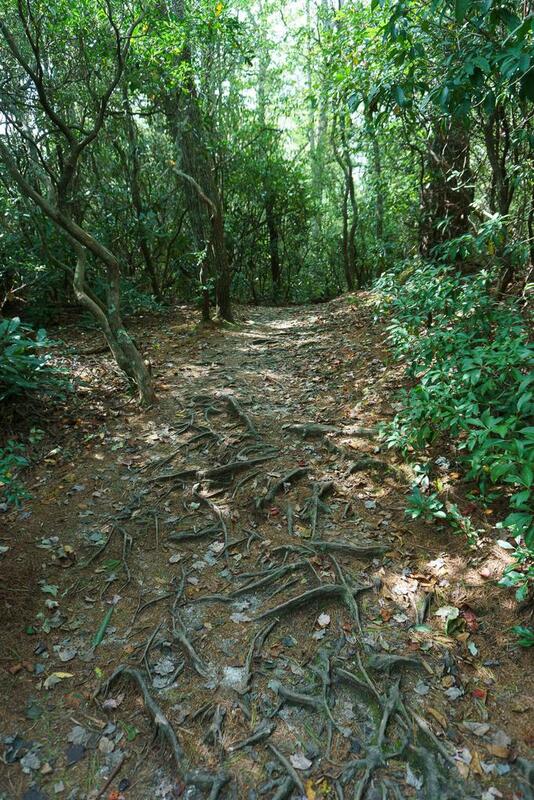 Via the Blue Ridge Parkway: Access the Blue Ridge Parkway. From US 70 (Tunnel Road), it's about 67 miles to the spur road to Linville Falls on the right. Turn right and park at the visitor center. Via Burnsville: Slightly quicker is to head West on Interstate 26 from Asheville. Take exit 9, for US-19 N, toward Spruce Pine/Burnsville. 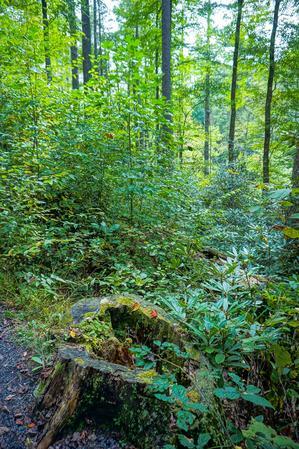 In Spruce Pine, turn right at NC-226 and go just under 5 miles to the Blue Ridge Parkway. Turn left onto the ramp, then left (North) on the Parkway, and travel about 14 miles to the Linville Falls area. Turn right on the spur road to falls, and park at the Visitor Center. 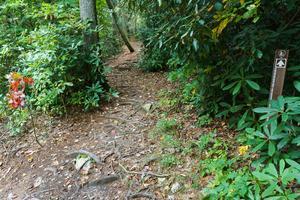 The Quickest Route: This route is also the least scenic, but will get you there the fastest. Take I-240 E to I-40 E and go about 18 miles. Take exit 72 to merge onto US-70 toward Old Fort. Go about 11 miles and turn left on US-221. 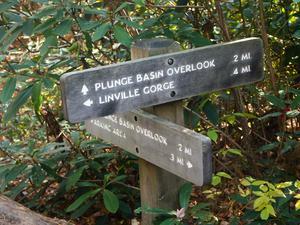 Stay on 221 for about 22 miles until you reach the Blue Ridge Parkway. Turn right up the ramp; turn left (North) on the Parkway and go about a mile. Turn right on the spur road to falls, and park at the Visitor Center. 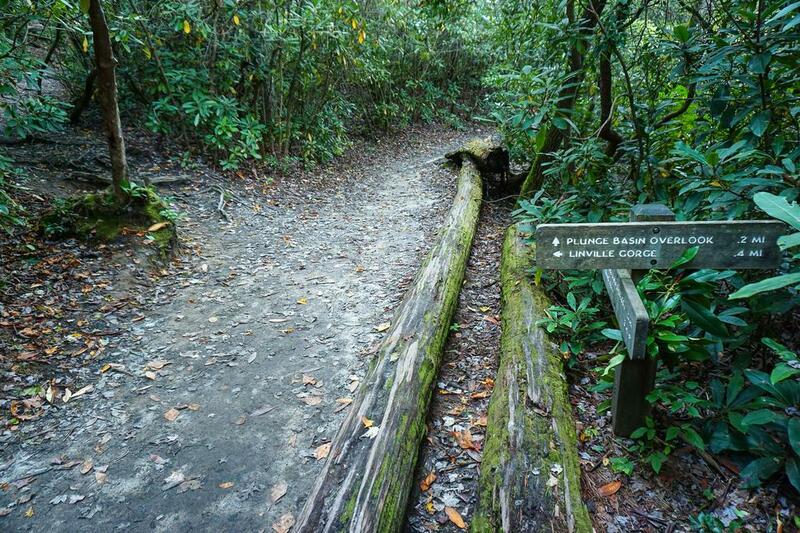 Begin the hike at the visitor center. 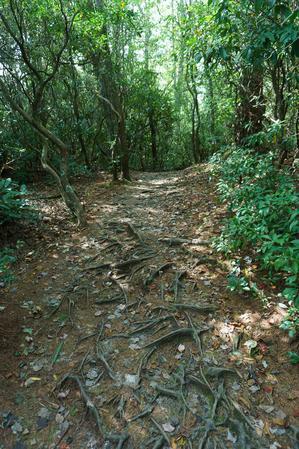 A carved wooden map is provided by the Park Service showing your general surroundings. 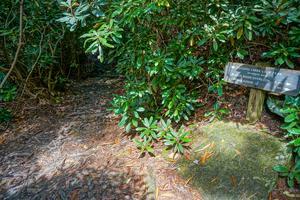 Turn left before the breezeway at the building and head up the short set of steps leading into the woods and onto the Plunge Basin trail. You'll reach a trail intersection right off the bat. 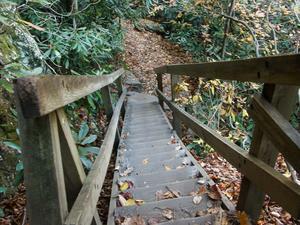 The path to the left heads to Dugger's Creek Falls. 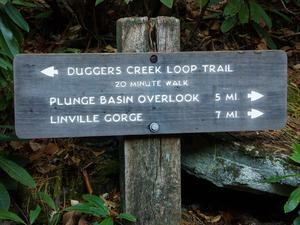 Turn right, uphill, to begin the hike to Linville Falls. 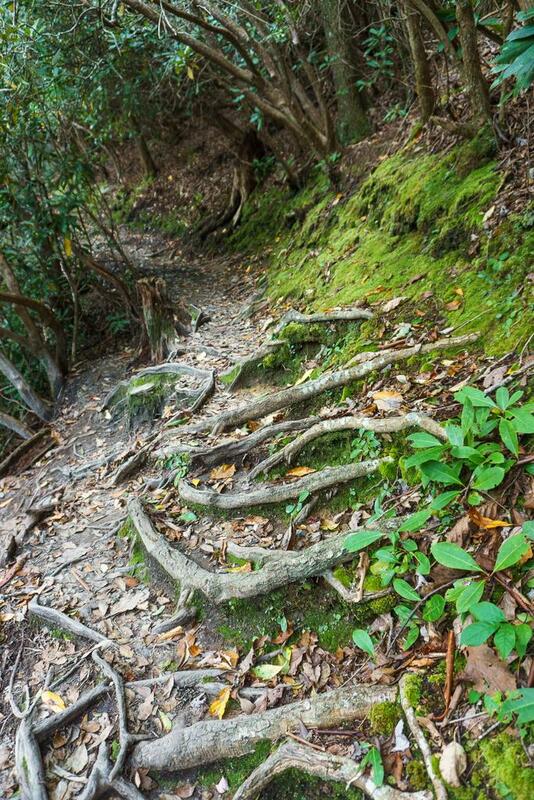 Although it's down in elevation overall to the base, the path starts out by climbing. 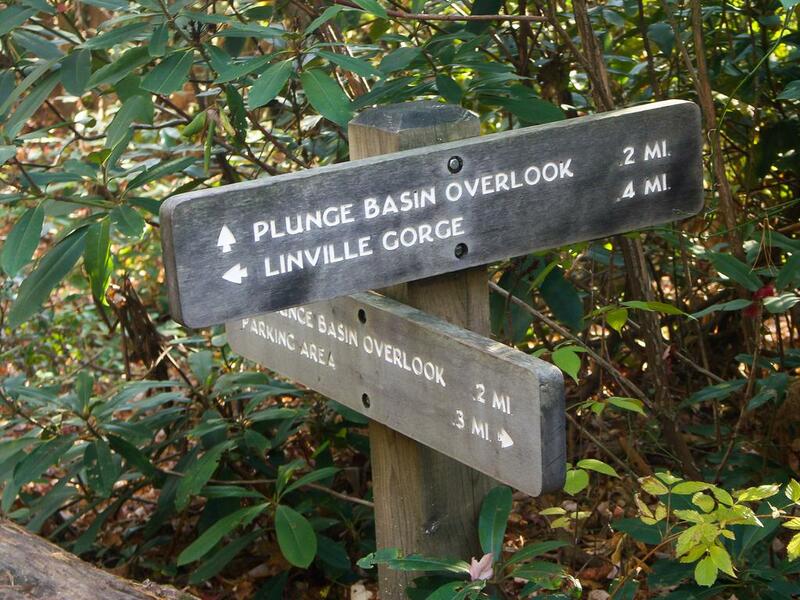 First part of the Plunge Basin hike, to the overlook. 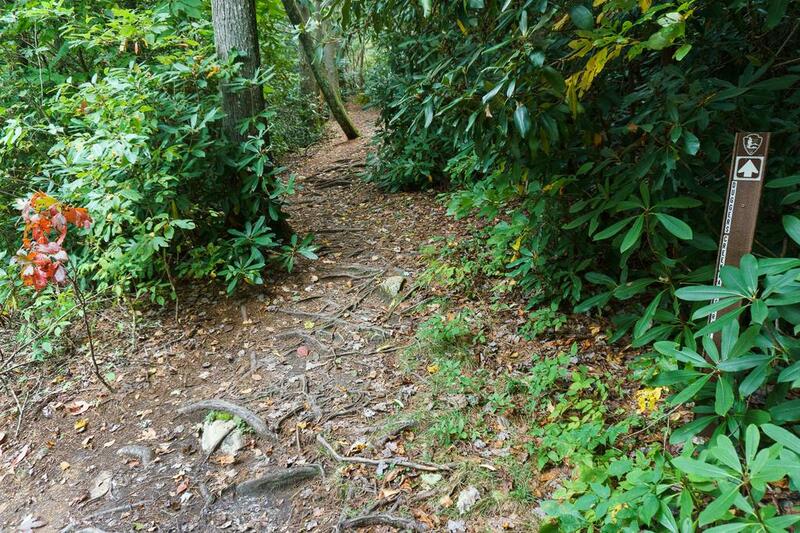 The first part of the hike is through a forest of mixed hardwoods and white pines, with the typical understory of rhododendron, mountain laurel, and greenbrier. 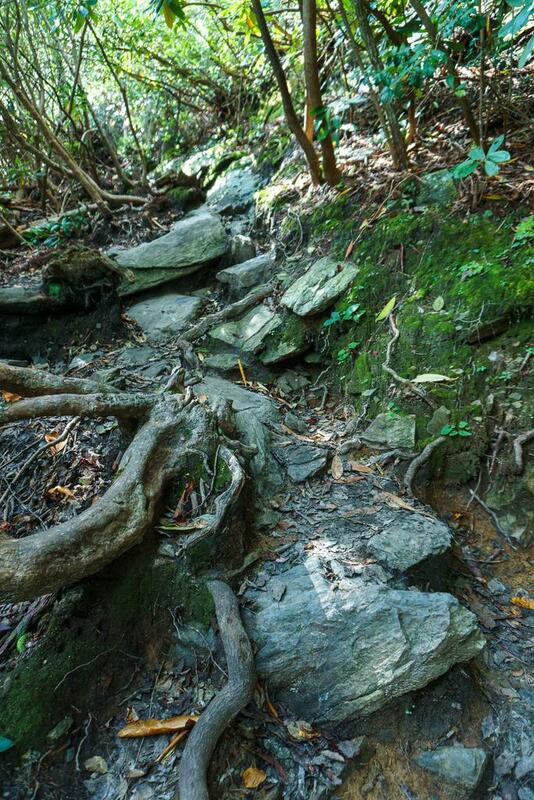 In fact, the forest is basically this way all the way to the falls, with varying amounts of hardwood trees mixed in. Some of the evergreens are impressively sized. 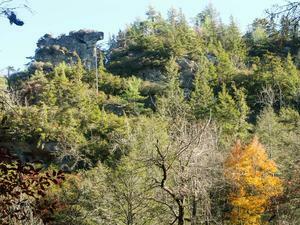 Just a few large Eastern Hemlocks have managed to survive til late 2018 along the trail to the plunge basin at the base of Linville Falls. 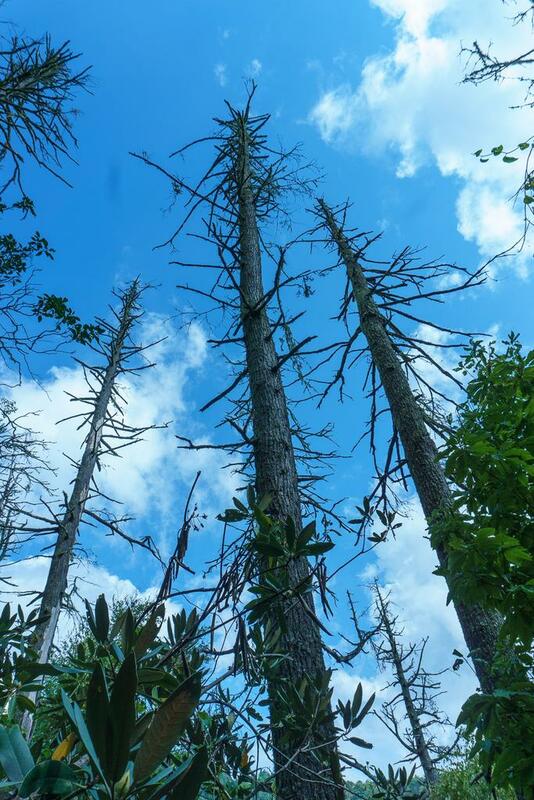 Some enormous Eastern hemlock trees used to grow along this stretch of trail, but the hemlocks are almost all dying due to infestation with by Hemlock Woolly Adelgid bug. Most of the largest ones are dead, and several have crashed down across the trail, leaving a mess of rotting wood in places. (In other parts of WNC, explosives have been use to remove hemlock snags, with the reasoning that detonated trunks look more natural than clean-sawn stumps). The trail will wind around a bit, at one point curving through a side gully with a clogged drainage pipe partially exposed, and you'll reach a signed intersection with a spur trail to an overlook after about 1/3 mile. 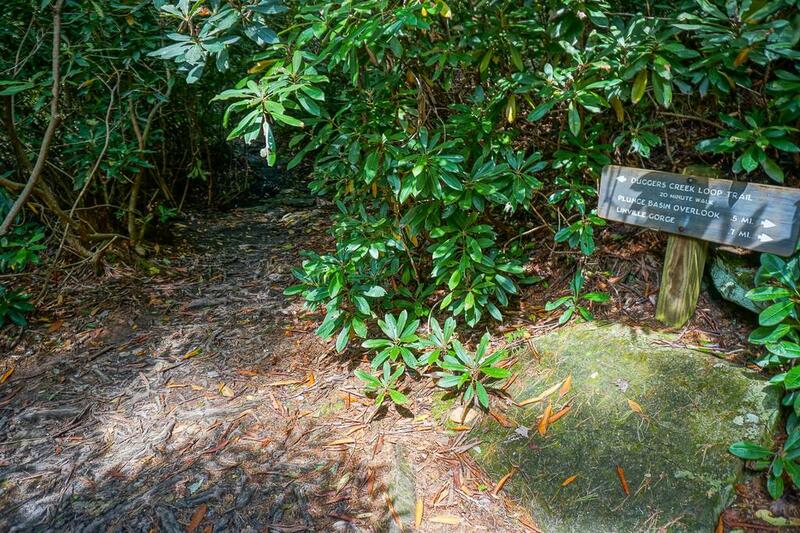 Keep right and descend gently on this path down toward the rim of the gorge. Right before the overlook it gets considerably steeper, but it's only 3/10 mi total down to the overlook. 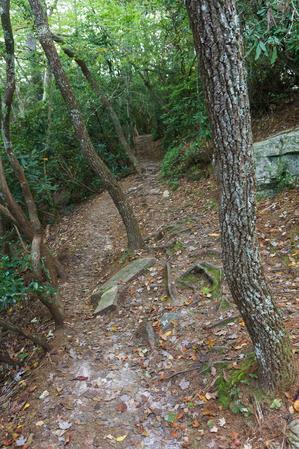 The trail comes out at the top of some cliffs, with some overlooks behind rock walls for safety. Stay behind them, and enjoy the spectacular view down into the plunge basin and of the falls below you. To get to the bottom of the falls, return to the main trail and hang a right. 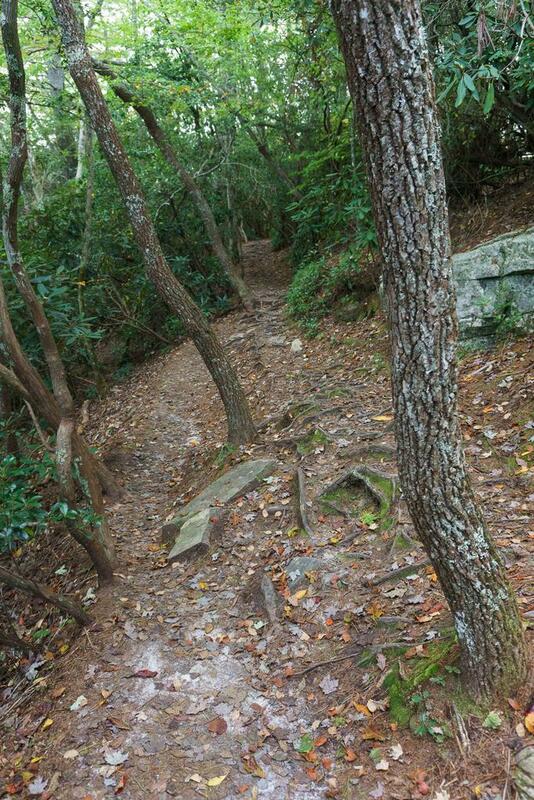 After just a few more feet of climbing, you'll crest a small ridge, swing north, and start descending. 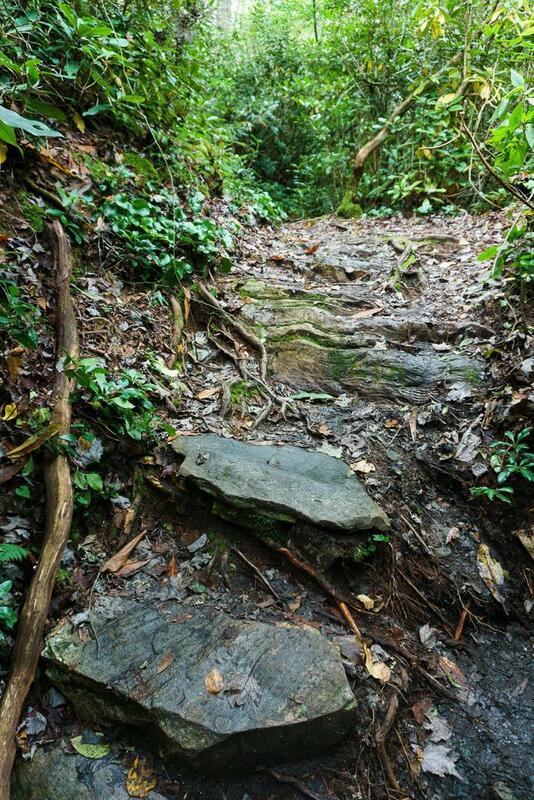 Past that point, interesting rock formations begin to appear along the trail, and the trail gets much rougher. From here to the bottom, expect exposed roots, logs to climb over, knee-high drop-offs, eroded areas, and slick, angled rock outcrops. You'll pass through a slot between the mountain on the left and a large, layered boulder on the right. 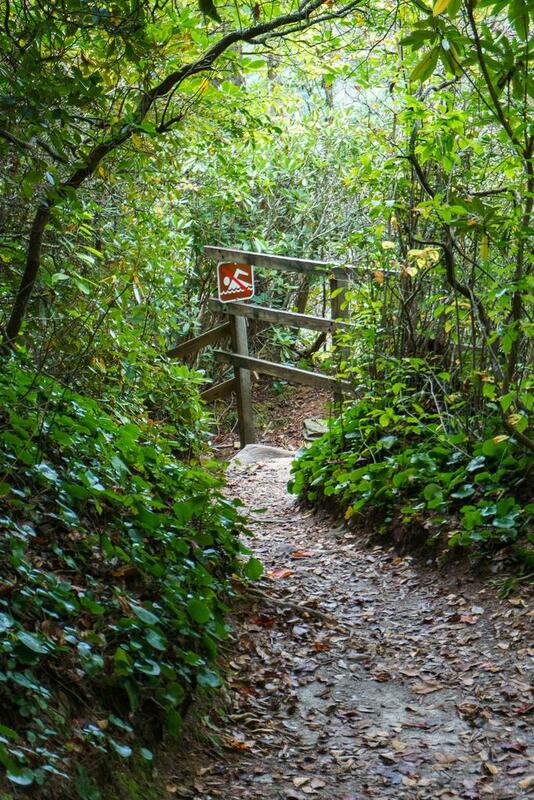 You'll be walking along the cliff edge and a wood rail appears on your right - respect it and stick to the trail. On the left, a deep fissure appears - it appeared to be too deep to see down to the bottom last time I hiked here. But the entrance to this small cave is steep, so I wouldn't try investigating it too closely. Just beyond, the trail reaches a point where it can't avoid descending the cliffs anymore. 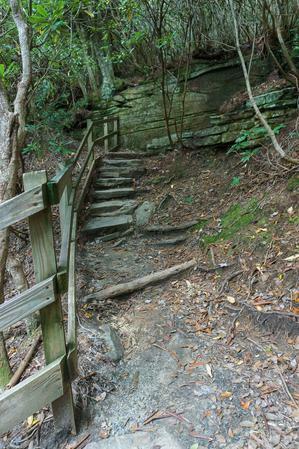 A section of trail on a steep set of wooden steps knocks out about 30 feet of elevation change; the trail on either end of the steps is steep, taking you down the rest of the way to the river. The Plunge Basin trail descends this staircase to reach the base of the falls. At the bottom of the steps, in the midst of a former hemlock grove (look instead now for the impressively large American holly tree growing out of the trail), the trail makes a switchback to the right and becomes extremely rocky. The next point of interest you'll encounter will be the base of the cliffs. 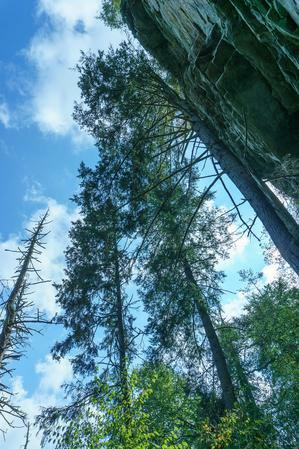 They tower 75 ft above the trail, and a tall hemlock (in a group of 3 big ones that are still alive!) grows right up the face. The trail curves left away from the cliffs; although the river has been faintly audible the whole time, that's where you'll really start hearing it roar. 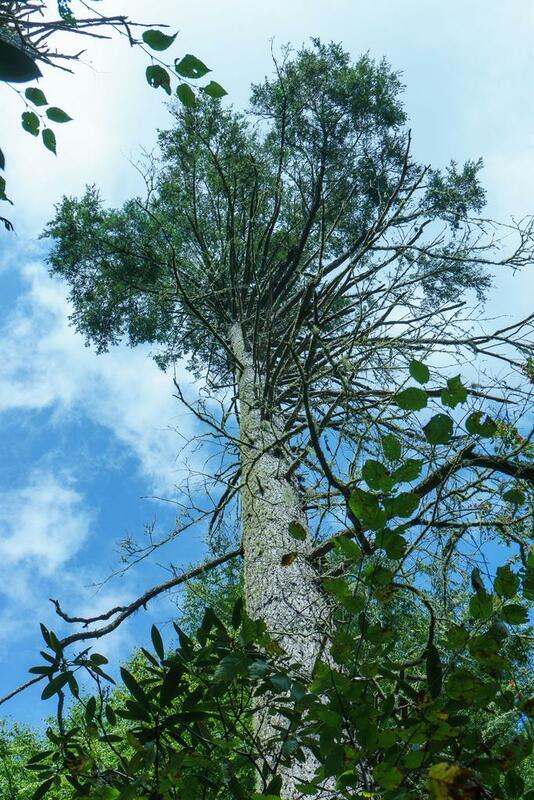 You'll pass one or two more living hemlocks on the way - enjoy them, because who knows how long they'll last. 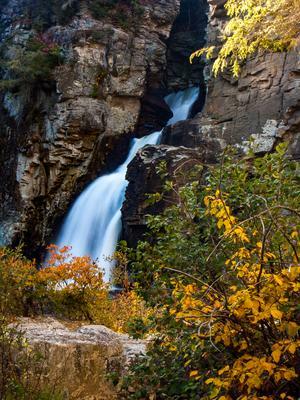 Linville Falls is surrounded by colorful leaves as the sun falls behind the rim of the gorge in late fall. Reaching the river, you'll have a decision to make. 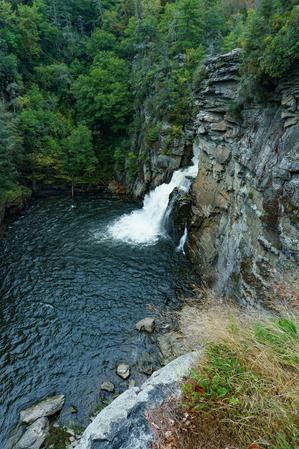 The trail proceeds upriver on the right side about 100 yards to the plunge pool, and view of the main drop of Linville Falls. But if the water is too high, you won't be able to safely make it. 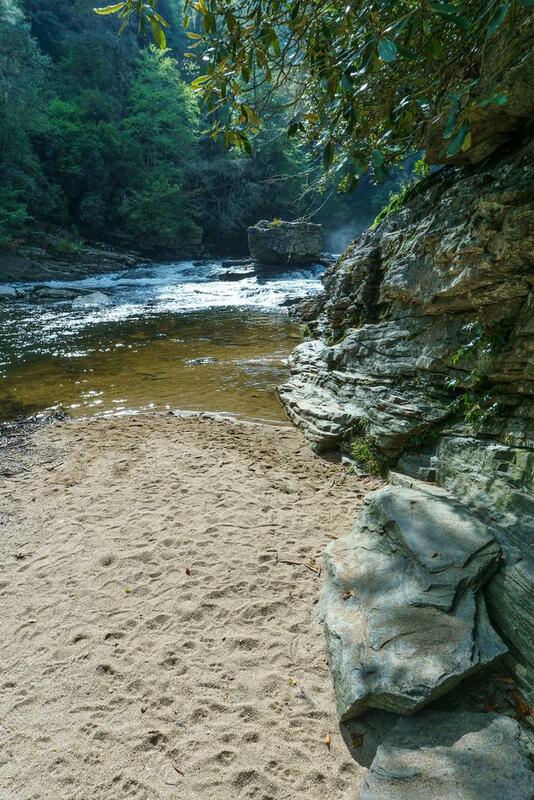 Since the mountain beside the river is basically vertical, you'll actually have to walk in the riverbed a bit. In fact, to stay dry, you'll have to scoot along some small ledges and hop over some small pools in places. If there is no obvious way to proceed, then stop - come back when the water level goes down. 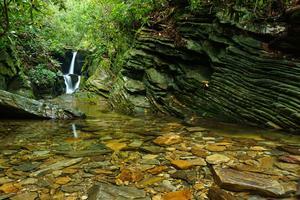 Otherwise, it's just a boulder-hop and scramble up to some flat rocks, perfect for hanging out near the falls. Once you reach the pool, you're sitting below the cliffs and the entire basin is rimmed by tall trees. Look up at the rim of the gorge facing downriver, and you might see people on top of the cliffs. They're at the Chimneys overlook on the Erwin's View trail. Also, if the water is clear - sometimes it is, sometimes it isn't - look closely in the pool and you might see some wildlife. There are definitely fish, and one time I was here I even spotted a river otter - a fascinating sight since these animals rarely allow themselves to be seen. In the tall cliffs to the right of the plunge basin, there's a large "slot canyon" type of rock formation. You can easily climb up into the bottom of it, but it quickly gets too steep and wet to proceed any further. Is this the bottom of the fissure cave seen farther up beside the trail? 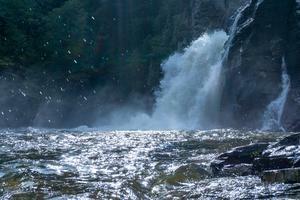 The power of Linville Falls turns the plunge pool into a churning maelstrom with whitecaps lashing the rocks. It's mesmerizing. I could easily spend a half day soaking up the scenery here. 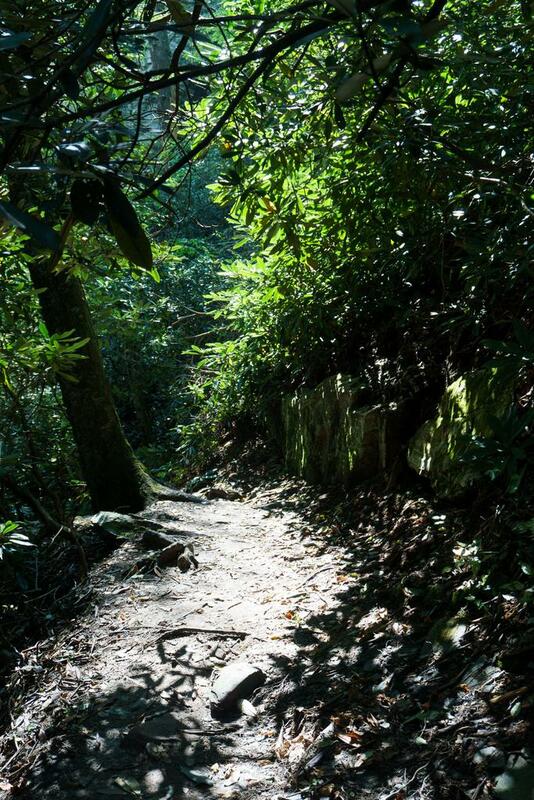 But when you've seen enough or run out of time, head back to your vehicle on the same trail. 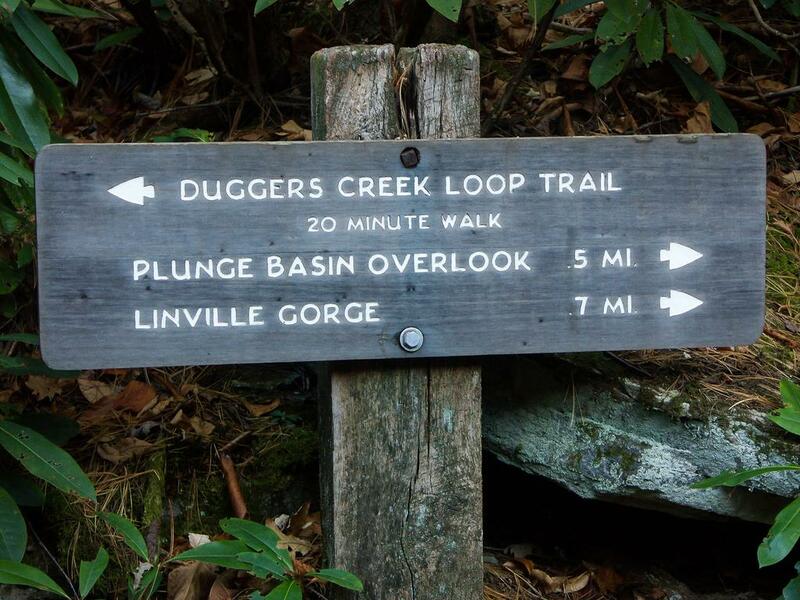 If this was your first hike here and you've got some more time, consider heading up to Dugger's Creek Falls (a 20 minute easy loop), or up the Erwin's View trail (to the Upper Falls or beyond to some great overlooks of the Lower Falls) for about another hour and 1.5 miles of hiking.